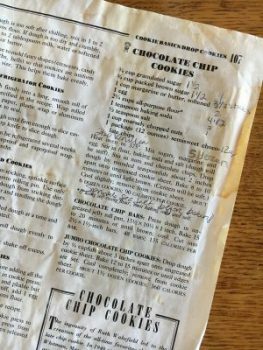 Adding a sprinkle of Fleur de sel or French sea salt on top just before baking elevates the flavor of these already perfect chocolate chip cookies. The original recipe comes from a Betty Crocker Cookbook I received as a wedding gift back in 1991. 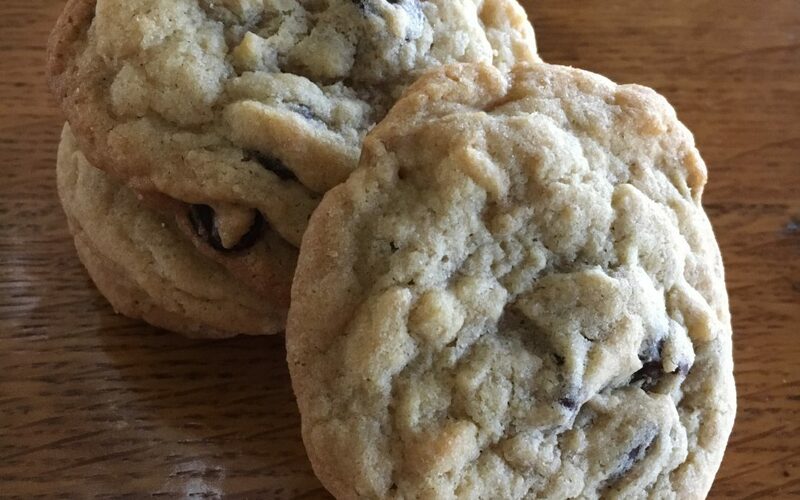 As my cooking skills increased and passion for elevating flavors in dishes developed, I took the liberty of making up my own version of this cookie recipe and it has been a hit ever since. These cookies are my families favorites and as you can tell by the recipe it has been tweaked to my standards of perfection and used often. I promise after one bite you will know what makes them so special. You’re friends will be in awe of how delicious they are but not quite being able to put their finger on what makes them so delicious. The secret is the sprinkling of sea salt on the cookies before baking. Here is a quick video on how I made them. 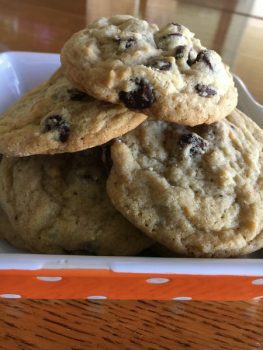 I have revised the recipe since this video was made and although they come out okay with two eggs, I find that using just one egg makes the dough a little stiffer and the cookies are not as flat. The recipe you will be using below calls for only one egg. I hope you try out the recipe. Comment below if you did! I promise they will become your families favorite as well! Cream together butter, sugars, vanilla and egg until thoroughly mixed. In separate bowl mix together baking soda, salt and flour. Add flour mixture 1 cup at a time to creamed butter and sugar mixture. Stir until well combined. 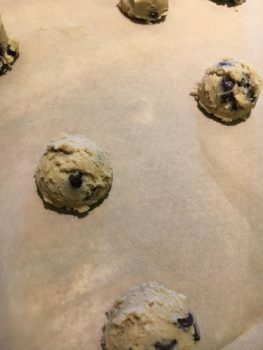 Add in chocolate chips and stir until chips are evenly distributed throughout dough. Remove from oven and let set a minute or two on cookie sheet before removing to cooling rack. Using a 2" cookie scoop will yield 2 1/2 dozen cookies and 1" scoop will yield 5 dozen.